Join us as Thony Aiuppy leads us on an intimate tour of the exhibition ‘Piercing the Veil’. 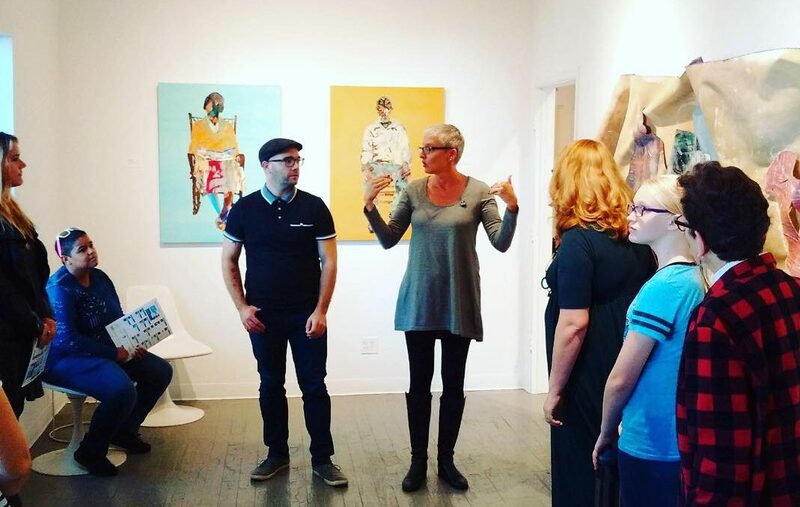 This is a terrific opportunity to learn more about the artist’s motivations, the processes he uses to create his paintings and collages, and his intentions as he explores local and national histories and his own lived experiences. Space is limited to only 25 people due to the intimate setting of Yellow House and the desire to include everyone in the dialogue. Registration is required to hold your spot. Your $10 includes the gallery talk, light refreshments, time with interesting and interested people, and support for the mission of Yellow House.